Working with dried spices and herbs is relatively easy. The recipe says to use this many teaspoons, or that much of a teaspoon, and you just measure it out. Things get more complicated with fresh ingredients, however, like cloves of garlic. You certainly could measure out a teaspoon at a time as you chop it, but that's inconvenient, and it'll make your measuring spoon all sticky. Although no perfect ratio of garlic cloves to spoons exists, you at least have a good rule of thumb to go by. The problem with saying that "one clove equals 'X'" is that garlic cloves don't come from a factory in standard shapes and sizes. They're a living, growing plant, and like anything else alive, they come out of the ground in a wide range of sizes, even when the plants all come from the same field that was planted with the same variety of garlic. When you're preparing your favorite recipe, then, don't get too hung up on questions like, "two cloves of garlic equals how many tablespoons?" Any kind of cloves-to-tablespoons ratio is a guideline at best, based on the average size of large quantities of garlic. Ultimately, your goal isn't to tick all of a recipe's boxes; instead, it's to make a dish that tastes good to you. Use these rough equivalents to find out approximately how much you should add, and then raise or lower the amount of garlic to suit your taste. Converting one clove of garlic to minced will give you approximately a teaspoon. This assumes you're working with plump, moist, fresh garlic that's solidly medium-sized. If the garlic you're working with is older and getting dry and leathery, you might not get quite that much. If you're using smaller garlic, or if you're down to the smallest cloves in your bulb, it might take two or three cloves to make up a teaspoon. On the other hand, larger cloves can easily make up a full tablespoon of minced garlic on their own. You'll see this mostly with "hardneck" varieties, the kind of garlic that has a rigid stem in the middle of the clove. Hardneck garlic often has a stronger flavor as well, so you might not need to use as much of it. 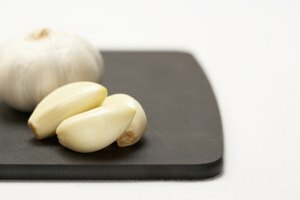 Two Cloves of Garlic Equals How Many Tablespoons? Once you've learned the basic conversion for garlic, there's a second step you might need to follow in some recipes. If the dish is heavy on garlic, it might be measured in tablespoons rather than teaspoons. The math here isn't complicated. Each tablespoon equals 3 teaspoons, so if you're using average-sized garlic cloves at a teaspoon each, you'd have three cloves per tablespoon. Two cloves of garlic, then, would be 2/3 of a tablespoon. 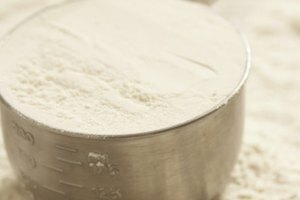 If you look at recipes used by professional cooks and bakers, you'll see that they almost always measure their ingredients by weight. 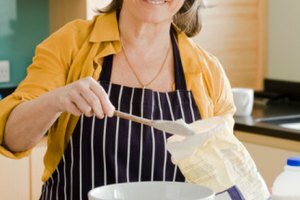 That's because some ingredients – like garlic – are variable in size, or, like flour and brown sugar, may or may not be packed tightly. If you're working with that same hypothetical "average" clove of garlic that gives you 1 teaspoon of minced garlic, it should weigh about 2.8 grams. That's handy to know if you're converting a recipe from cloves and cups to weights. 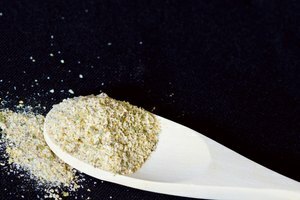 If you're using a recipe that's already in weight measurements, you'd just keep mincing until your scale says you've got as many grams as you need. What's the Difference Between Crushed Garlic and Minced Garlic? Recipes don't always call for garlic to be used the same way. Crushed garlic, for example, is just smashed flat with the side of your knife before it goes into the recipe. It keeps the garlic flavor relatively mild, and you'll usually pick it out when you're done. Chopped garlic is fine cubes of garlic that are often called for in slow-cooking recipes, for which you either strain out the garlic or cook it down to become very soft when it's done. Minced garlic is chopped very finely indeed, giving it a stronger flavor. It takes up less space than chopped garlic, so you get more per teaspoon. Garlic from a press is even finer, almost puréed. A garlic press can be a great time saver if you use a lot of garlic but don't necessarily have the time or knife skills to mince fresh cloves finely.